Annoying pastel colors are in fashion, and the United States and China are determined to set a collision course in the world. That’s what I gather from Joshua Kurlantzick’s summary of the 12th International Institute for Strategic Studies (IISS) Asia Security Summit: The Shangri-La Dialogue, in Singapore on June 1, 2013. 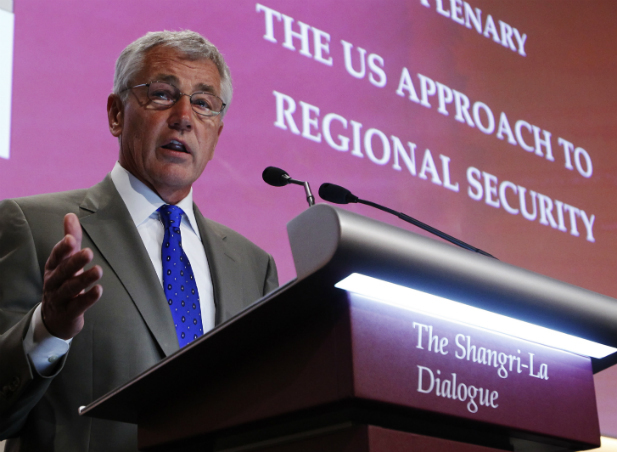 All in all, though the Shangri-La Dialogue serves a useful purpose of getting Asia-Pacific leaders to talk to each other and establish the kind of personal links that could be necessary in averting crises, the region’s arms buildup and tensions continue to rise. Though some observers are hopeful that the current head of the Association of Southeast Asian Nations (ASEAN), Brunei (the chairmanship rotates each year), will be effective in moving ASEAN and China toward real negotiations over the South China Sea, this is doubtful. It is true that Brunei is a contestant in the South China Sea, and that it has some experienced diplomats, and is also small enough to be viewed as an impartial mediator. But as the subtext of the Shangri-La Dialogue showed, no one in East Asia seems to be in any mood for real concessions —on anything. In the context of the pivot to Asia and the mess in the Middle East, is this collision with China a product of nostalgia? Taiwan has slapped The Philippines with sanctions for not apologizing with sufficient respect for the death of a Taiwanese fisherman during a confrontation with the Philippines Coast Guard. Earlier on Wednesday Taiwan recalled its envoy to the Philippines. The sanctions included the freezing of applications for work permits, and the cessation of economic exchanges and military exercises in waters between the two sides. 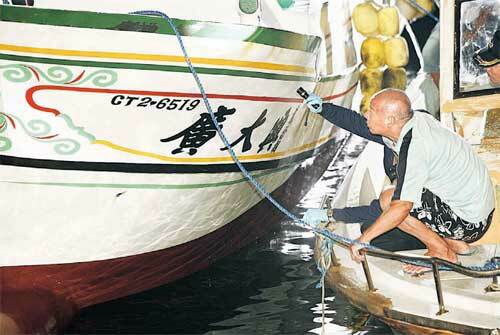 A spokesman for Philippine president, Benigno Aquino, had said a formal apology was being offered to the appropriate authority in Taiwan over the “unfortunate loss” of the fisherman. 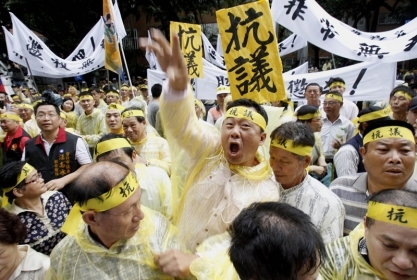 But Taiwan’s premier, Jiang Yi-huah, said the apology was inadequate because it called the fisherman’s death unfortunate and unintentional, according to a statement from the Taiwan government on its website. What good is hegemonic authority when the United States won’t get pushy for law and order in the South China Sea? The United States on Monday voiced regret over the death of a Taiwanese fisherman killed when the Philippine coast guard fired on his vessel, but stopped short of condemning the incident. “We regret the tragic death of a Taiwan fishing boat master during a May 9 confrontation at sea with a Philippine patrol vessel,” State Department spokesman Jen Psaki told reporters. A Philippines coast guard vessel puts 55 holes in a Taiwanese fishing vessel, a man takes a bullet, and that’s all you got? Both Manila and Taipei are offering differing accounts of the incident. The accounts differ. Philippine authorities claim that the fishing boat was intercepted approximately 43 nautical miles east of Balintang Island in the Balintang channel, and was therefore operating illegally in their country’s 200-mile exclusive economic zone (EEZ). They also contend that the Kuang Ta Hsing provoked the shooting by trying to ram the Filipino Maritime Control Surveillance 3001, an “aggressive act” that forced its crew to take defensive action.